Maintaining your pool is important all year long, but especially during the winter months when it’s not being used. Maintaining your pool is important all year long, but especially during the winter months when it’s not being used. In winter, many parts of your pool can get damaged from snow and ice, including freezing and cracking, causing leaks in your pool liner or pipes when the temperatures get warmer. 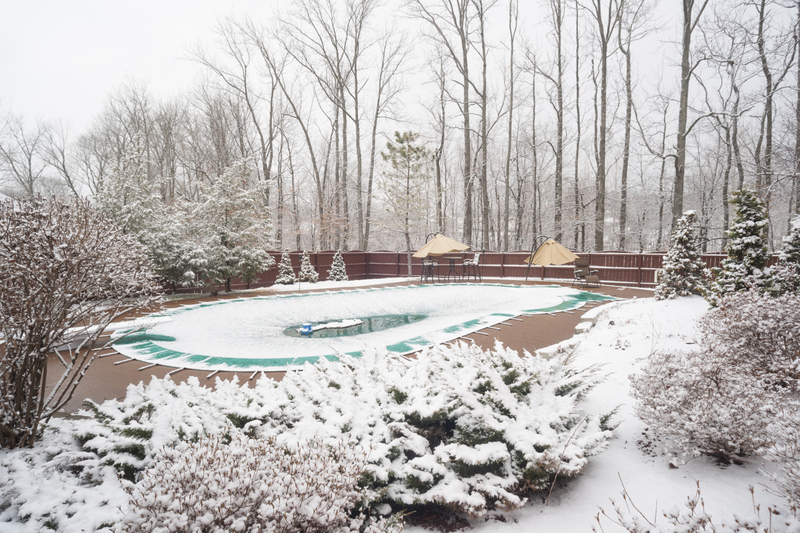 To prevent a pool catastrophe, here are some helpful tips to get you and your pool through winter. Getting a pool cover is essential to maintaining the cleanliness of your pool throughout winter. Once you have a pool cover in place, ensure that your cover is properly attached and covering your pool completely. For an above ground pool, you can use cover clips, and for an inground pool, you should secure your water blocks and make sure the safety components are in place. If it snows on your pool cover, you can use a roof rake to pull the snow off of your cover. The extra weight of the snow can cause damage, so it’s important to remove it, but be careful around ice. Overlooking maintenance of pool parts can be a costly omission to your routine before winter. Regardless of your geographical region, regular maintenance on pool parts is necessary to keep them running efficiently. Before winter sets in, drain all excess water from your pipes because freezing water in those pipes can cause a crack, causing a huge problem. During the winter months, check your pool pump, filter, and heater periodically, otherwise it could be a hefty repair! Going into the winter with balanced, clean water makes the reopening process easier for you in the spring. Even after you close your pool, keep checking your pool chemistry every two months. Unbalanced water can cause algae and bacteria growth. You can also use enzymes to break down some contaminants, which will prevent water lines and save you from a whole lot of scrubbing when you open your pool again. This entry was posted on Friday, November 17th, 2017 at 1:53 pm. Both comments and pings are currently closed.